There it sits — in all its green glory — in the produce section of your local grocery store. Broccoli. One of the most nutritious vegetables on the planet. But 70 years ago, it contained twice the calcium, on average, and more than five times the amount of vitamin A. The same could be said for a lot of our fruits and vegetables. Over the past two centuries, U.S. population growth and food production methods have stressed and degraded our dirt. Our farming soil is not as alive as it once was, and experts say that’s a problem. More and more farmers are recognizing they are part of the problem — one that extends beyond their farms, affecting the water quality in our lakes, rivers and oceans downstream. Slowly, a soil health movement is spreading across the Midwest and other parts of America. Farmers are changing the way they farm, adding something called cover crops and changing up crop rotations. They’re finding ways to use less fertilizer, which is linked to decreased soil health and water degradation. "This has an impact on everybody who eats," says Eileen J. Kladivko, a professor of agronomy at Purdue University. As states like Indiana emerge as leaders, experts say the movement is on the cusp of mainstream adoption –  though much still stands in the way. In the 1930s, dirt was a high priority in America. Much of the country was experiencing a crushing series of droughts that lasted eight years. Poor land management and farming practices gave rise to the Dust Bowl. In those days, it was typical to plow a field to a pulverized, fine dirt before planting. So, when the extended dry spell hit, soil became loose and was swept away by intense dust storms that blotted out the sun. Farmers couldn't grow food. Millions were forced to leave their homes to find work. The ordeal resulted in the adoption of the uniform soil laws and the creation of the U.S. Soil Conservation Service — and was the birth of the modern-day soil health movement. Farmer Kameron Donaldson holds a clump of plant material filled with worms and nutrients on the K.L. Donaldson Farm in Peru Ind. on Tuesday, April 24, 2018. The Donaldson family farm uses the more eco-friendly practice of planting cover crops which decreases runoff, retains more soil nutrients, and helps to conserve waterways. At the time, the effort focused on erosion or, simply, how to keep the dirt in place. Still, we continued to harm the soil — unintentionally, said Harold van Es, a professor of soil and water management at Cornell University. In the 1950s, farmers began using synthetic fertilizers. The fertilizers weren’t bad in and of themselves, said van Es, but they allowed for a new way of farming in America that would often further degrade the soil. So, many farmers stopped raising livestock for their manure and focused only on cash crops, like corn and soybeans, which go into many products. Farmers began producing one or two crops, planted year after year. Over time, the combination of these things lowered the biodiversity of the soil. Healthy soil should be teeming with microbes and worms and rich with decomposed organic matter (think: compost). Today, the government budgets billions of dollars — $6.7 billion in 2017 alone — for conservation through the Farm Bill. That funding goes toward agencies like the Natural Resources Conservation Service, the successor to the Soil Conservation Service that offers financial and technical assistance to farmers to adopt practices like cover crops. 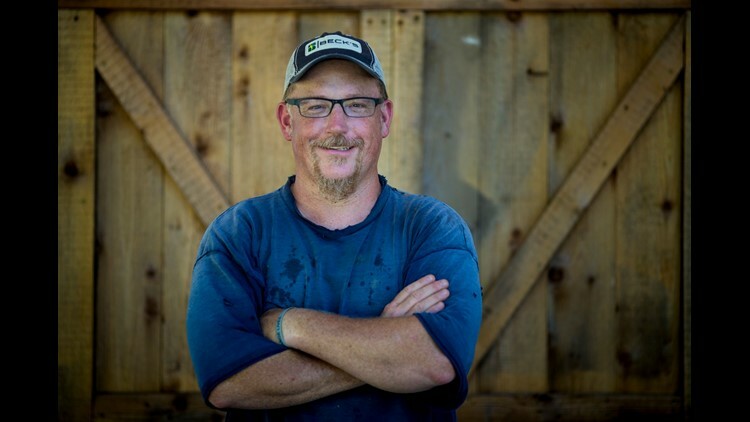 Richard Stewart manages Carriage House Farm in southwestern Ohio, and he’ll tell you what’s happening on the 163-year-old farm, owned by his family now for five generations. His goal one day is to stop conventional farming — growing corn and soybeans for animal feed and export — and instead only grow and raise things people eat. His family converted about 60 acres from its 300-acre farm to produce fruits, vegetables, honey and, recently, a line of vinegar. Richard Stewart poses for a portrait at Carriage House Farm in Miami Township. His passion is offering Cincinnatians an alternative to buying food shipped from across the country or the world. Stewart is paying close attention to the soil. And he’s learned, for example, to plant a cover crop of mustard before he grows a crop of potatoes. The mustard keeps away the Colorado potato beetles, which, you probably guessed, love potatoes but not mustard. He makes sure there is a good strip of trees and native plants between his fields and the Great Miami River, because he wants to keep his soil in place and avoid any runoff that might hurt water quality. "I’ve got kids. My child may be the seventh generation that farms this property, but that is not even a blink in the eye of the history of this planet," Stewart said. "The Shawnee were people who farmed and hunted this land 3,000 years prior to us and we’ve taken more nutrients out of the soil than human beings did the last 3,000 years." 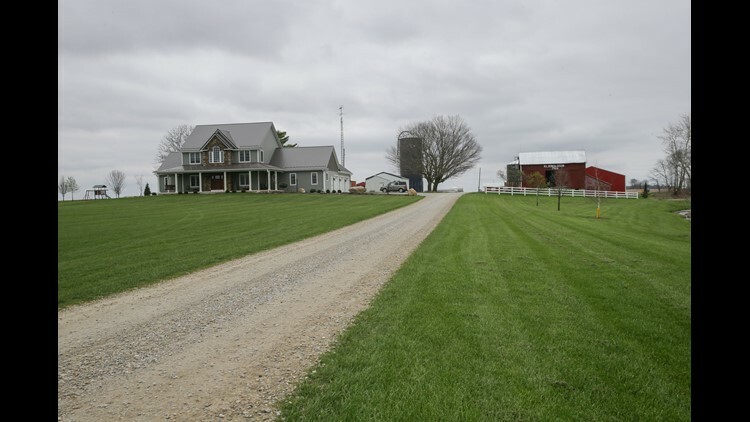 A view of Carriage House Farm in western Hamilton County, Ohio. Across the country, other farmers are compelled to improve their soils. Take Indiana, for example, where the number of farm acres sowed with cover crops more than quintupled in just five years. Cover crops involve planting something on the field during the offseason, so there's always something growing. Keeping something growing holds the soil in place, and when the cover crops grow and die they add organic matter, attracting microorganisms, adding nutrients  —  and creating healthier soils. But Indiana still has a long way to go. Just over 90 percent of cropland in the state still goes without cover crops. It’s hard to blame farmers who don’t participate. Rising seed prices, whacky weather patterns and new talk of tariffs create financial challenges and uncertainty. Shannon Zezula, state resource conservationist for the Indiana Natural Resource Conservation Service, sees this as part of the reason that last year, for the second year in a row,  the percentage of cover crops fell slightly in Indiana. Nick Goeser is not discouraged. As director of the Soil Health Partnership, a program launched by the National Corn Growers Association in 2014, he sees the soil health movement catching on because more farmers are getting results. The organization helps farmers do economic assessments to understand where the farmer is making or losing money. Together, they consider today's technology, weather and markets to decide on methods that will improve the soil, help the environment and also make the farm more profitable. That’s a faster turnaround than, say, five years ago, Goeser said. He thinks cover crop adoption is accelerating. When the partnership formed in 2014, its goal was to sign up 100 farmers in the first five years. It reached that in half the time. Something else is at play, adding urgency for farmers to consider their soils, Goeser said. "Climate change is 100 percent real, and our farmers are experiencing this year to year," he said. "It’s absolutely worth seeing the hard data." Farmers are dealing with more frequent, and unpredictable, bouts of drought and flooding. Climate change is also messing with our food. Over the past few decades, the number of suitable days to plant corn has dropped, Goeser said. Heavy rains are partially to blame. But what's even more damaging is the heat. Warmer nights – and we have more of them now – keep the corn from resting, which can affect its ability to pollinate. The result? Kernels have difficulty growing on the cob. Humans have a long history of manipulating crops; cultivating strains to withstand certain conditions. We've been able to figure out how to keep growing more, even with the heat. But that tinkering can have unintended consequences — like making our food less nutritious. 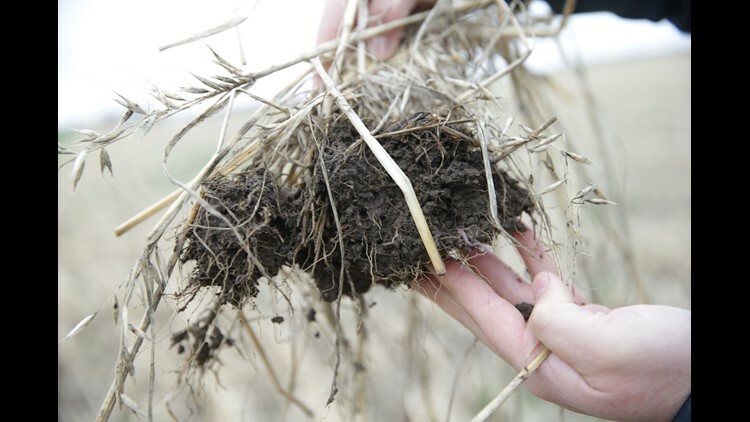 Healthier soils can help alleviate the stresses of climate change, Goeser said, because they retain more moisture which can lower the temperature on the fields. And healthier soils recycle more carbon and release less carbon dioxide — the world’s leading greenhouse gas. Mike Starkey shows what’s possible on this farm in Brownsburg, Indiana. He raises corn and soybeans on 2,500 acres northwest of Indianapolis, and for the past 13 years, he’s worked to improve his soils, including sowing cover crops between seasons. Starkey said he immediately saved money that he would have spent on equipment, labor and fuel by not tilling his fields. With cash in hand from selling his tilling equipment, and help from the state’s NRCS, Starkey invested in his soil with cover crops. Mike Starkey, a farmer in Brownsburg, Ind., poses in a field amongst corn plants on Wednesday, June 20, 2018. 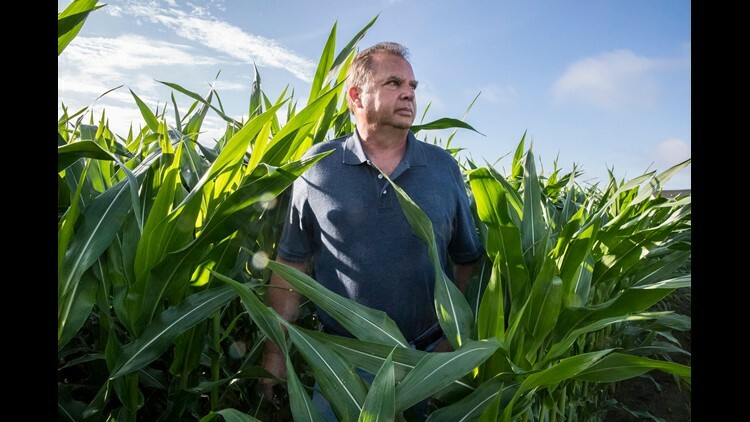 Starkey's farm has become a destination for politicians and fellow farmers who are eager to see how he uses cover crops to make his soil healthier. Over time, cover crops built up organic matter in his soil, reducing the need to purchase as much commercial fertilizer. The benefits are not just to the farmer, conservationists say, and that’s why there’s a big push for cover crops across the nation. 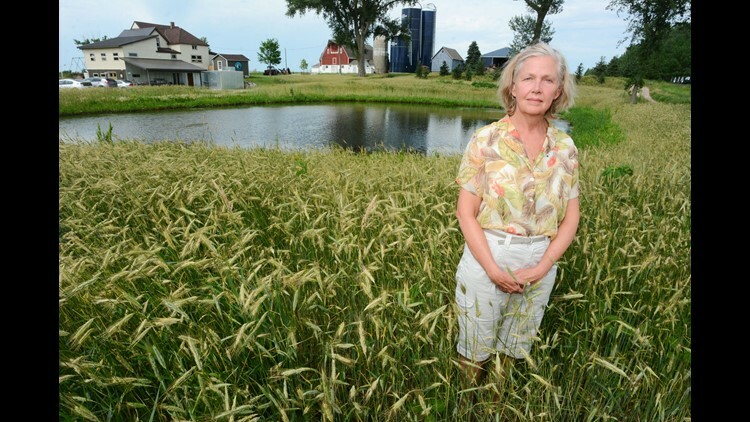 Farm runoff is considered a major cause of harmful algal blooms in our lakes and rivers. It also contributes to the hypoxic dead zones in our coastal waters. That’s because nitrogen and phosphorus, which are in the fertilizers, are food for toxic algae. Nutrients like that and others also clog up the water, taking the place of oxygen and creating dead zones in places like the Gulf of Mexico. Reports of harmful algal blooms grow year after year, wreaking havoc on fishing and tourism seasons in Lake Erie, killing dogs and causing nausea and rashes for the unsuspecting swimmer. The low-oxygen zone in the gulf spread a record distance last year: an area the size of New Jersey. In hypoxic conditions such as these, living things struggle. This affects our fishing industry and the price we pay for different foods. That’s why Starkey is part of a unique study to test whether the practices on his farm are improving surrounding water quality. Fields sown with cover crops typically have lower nutrient runoff, but some don’t think it’s enough to curb the water quality issues facing the nation. Even with every farmer doing this, states will struggle to come close to meeting nutrient overload reductions, said Trevor Russell, water policy director for Friends of the Mississippi. 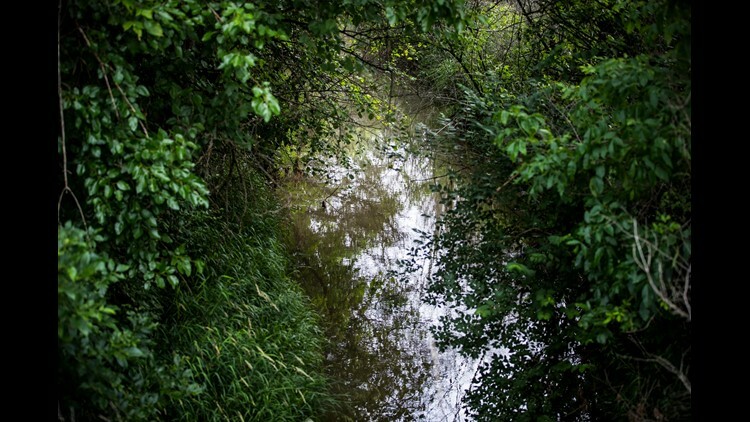 A small stream flows through the property of Mike Starkey, a farmer in Brownsburg, Ind., on Wednesday, June 20, 2018. 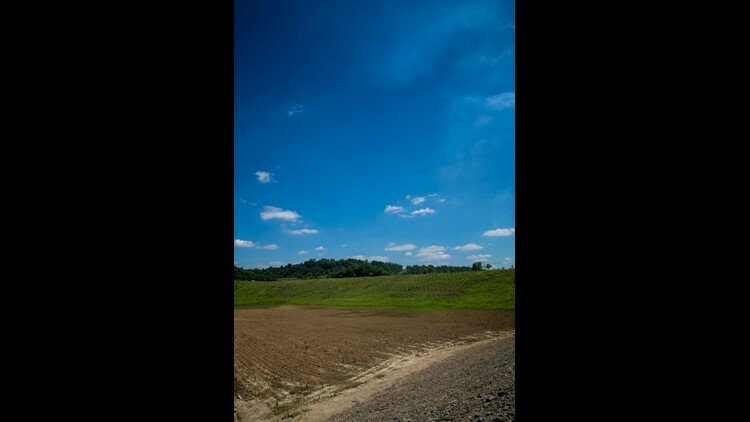 Local, state and federal agencies are collaborating on a water quality monitoring study that they think will prove that cover crops will be an important tool for reducing groundwater pollution from agricultural runoff. “There is a false narrative in the water quality community. 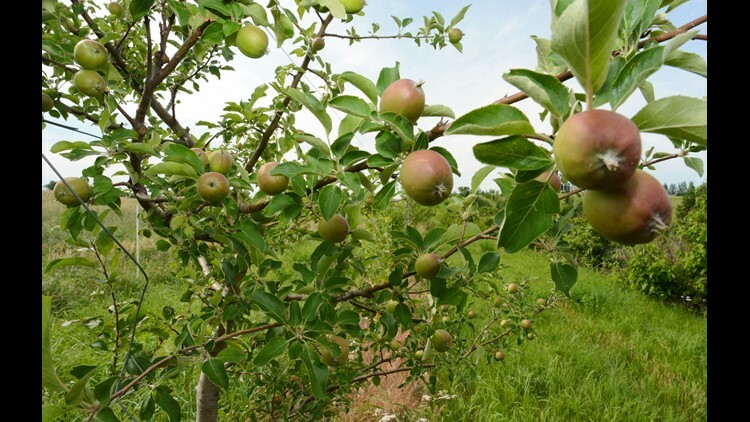 It’s not (about) doing a better job at what we grow – it’s quite literally what we grow,” Russell said. There's pretty much widespread agreement that cover crops control erosion and keep the soil resilient. And for some farmers, like Starkey, that’s reason enough. In 2012, when the rest of the country was struggling through the driest drought since the Dust Bowl, he made it out okay. His corn yields that year was nearly double that of the rest of his county. Mary Jo Forbord and Prairie Horizons Farm in MN. Mary Jo Forbord feels as if she's doing her part to farm responsibly. She and her husband run an organic beef, fruit and vegetable farm on the slopes of a glacial moraine in Minnesota. They plant cover crops, don’t use any chemicals and have reconstructed 380 acres of prairie, replacing what farmers before had wiped out. But Forbord says the cards are stacked against farmers like her and America's food system in general. She’s looking at the big picture. From 1800 to 2017, the U.S. population grew from 5 million to 325.7 million people. And today, 25 million — 8 percent of Americans — are food insecure, meaning they are unable to consistently access or afford adequate food. Experimental apples in an attempt to grow them without the usual heavy amounts of pesticides at Prairie Horizons Farm, in Starbuck, MN. Yet, over a quarter of U.S. cropland is used to grow corn, a crop we barely eat. Most of the corn we grow goes to feeding livestock or our gas tanks. And of the small portion we do eat, most of that goes into making sweeteners like high-fructose corn syrup. It’s a disparity that shows up in our waistlines, as the United States continues to lead the world in obesity rates. In the early '60s, about 14 percent of the country was obese. That description now fits one in every three Americans. “It can be overwhelming to see how much this touches,” Forbord said. Farmer Jon Reese who grows corn, soybeans, and cereal rye grass uses the more eco-friendly practice of planting cover crops in all of his fields in Peru Ind. on Tuesday, April 24, 2018. 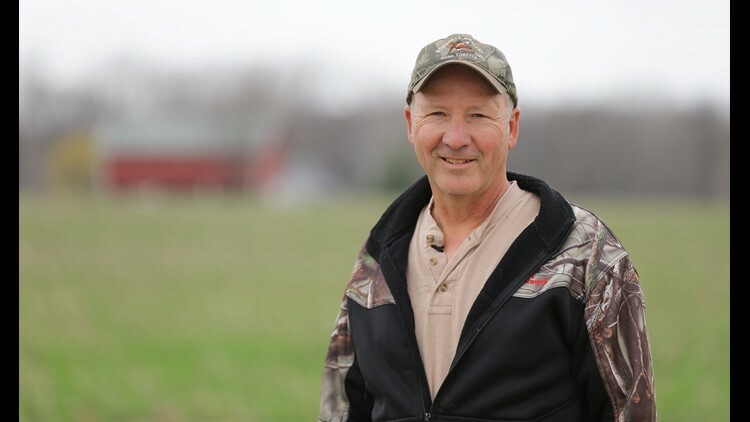 Reese began using no-till farming and cover crops after purchasing nearby farm land that suffered from erosion. You’ll find a type like Jon Reese in every county in America. The guy who's always ready to share his knowledge, to bring just about anyone to his farm to show you results. He does that by hosting "field days" on his farm in rural Miami County, Indiana. They're like open houses that showcase soil health initiatives such as cover crops. He works the holdouts, offering at a recent event to throw cover crop seed into one farmer’s truck right then and there, even let him borrow his special equipment. "I almost begged him," he said. But the farmer never took him up on the offer. How could cover crops spread faster? Well, there's talk about soil health labels on our food – to help consumers know whether they're buying foods that respect the soil. And sustainability groups and corporations are creating agricultural sustainability metrics to provide individual farms with a stamp of approval. These are steps forward but need to be closely vetted, said Kladivko, the agronomy professor at Purdue University. But the common consumer can also play a role, observers and soil health supporters say. The masses can do that by paying more attention to where their food comes from, shopping local, asking the farmers who grow food what they are doing and know where their politicians stand. "Indirectly, you can support conservation programs at the federal and state level," researcher van Es said. "You can also trust that organic food is soil friendly." Meanwhile, said Kladivko, the soil health movement will continue to spread as it does today, from farmer to farmer. In his corner of the world, Reese’s influence is spreading. The K.L. Donaldson Farm raises hogs, corn and soybeans in Peru Ind. on Tuesday, April 24, 2018. The Donaldson's family uses the more eco-friendly practice of planting cover crops which decreases runoff, retains more soil nutrients, and helps to conserve waterways. Kameron Donaldson, the son of one of Reese's high school classmates, now does cover crops and is improving the soil on his 3,000-acre farm, where he also raises 18,000 hogs every year. Donaldson's seen decreased erosion and improved yields of corn and soy. But he’s also glad he’s going to leave the land better than he found it. "It's better to just take care of the land and it'll take care of you," he said. "But there is a cost to getting that land where you want it to be." The article was made possible in part by the generous support of the nonprofit Nina Mason Pulliam Charitable Trust, and by the Institute for Journalism & Natural Resources.